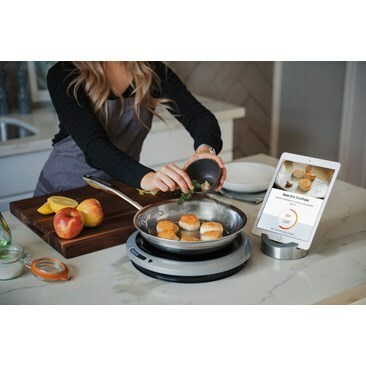 LA Chef Moni Carlo uses the new KitchenAid 7 cup food processor to make the pie dough for her Island Ratatouille because it worked well for veggies and dough. 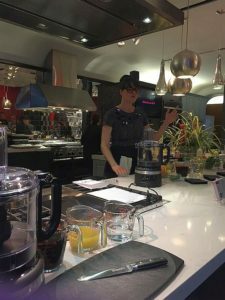 I tried this 7-cup KitchenAid® food processor during a demonstration by LA Chef Monti Carlo and liked its ease of handling, the size of the pieces that went through the slicing disc and, when reversed, the shredding disc. BTW the disc stays with the bowl after cleaning so there is no worry about finding additional blade storage. Of course I kept wanting to twist the bowl when I put it back down on the base but unlike other processors it was no-twist. 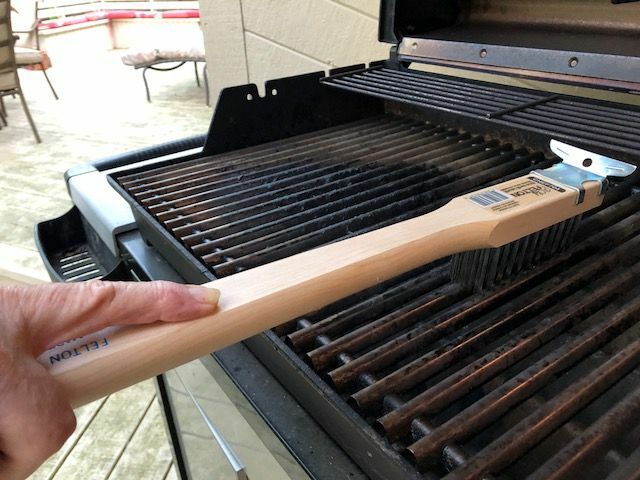 Just put it back and re-latch the lid. I also liked the space under the base to wrap the cord because the cord of my other processor sticks out in the cabinet and that it is light in weight. I don’t yet have it at home so I can’t say anything about how it washes up in the dishwasher but the bowl, lid and accessories are supposed to be dishwasher safe. Even when I get it and use it for quick dishes, I plan to also keep my large, heavy-duty food processor. 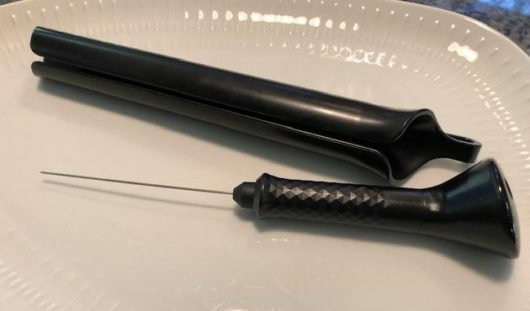 This 7-cup tool will be a nice addition to my kitchen and will likely be frequently used. 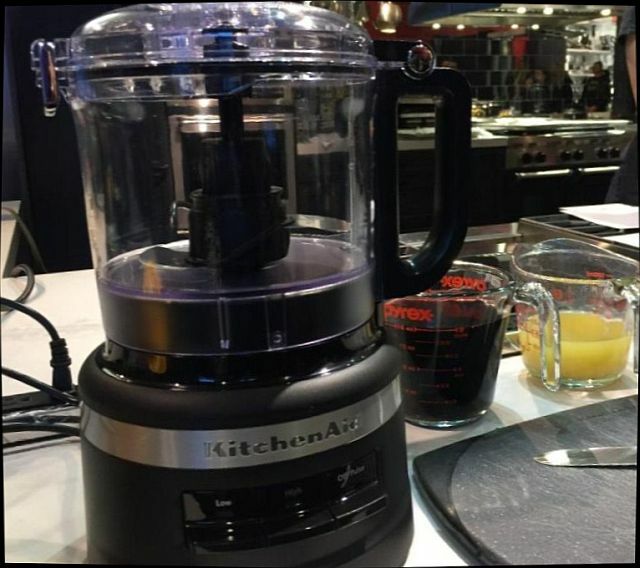 The item, the 7 cup Food Processor by Kitchenaid®, is KFP0718 and is supposed to be on store shelves in April 2018.